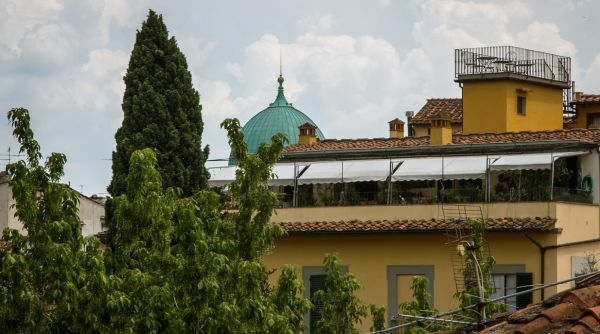 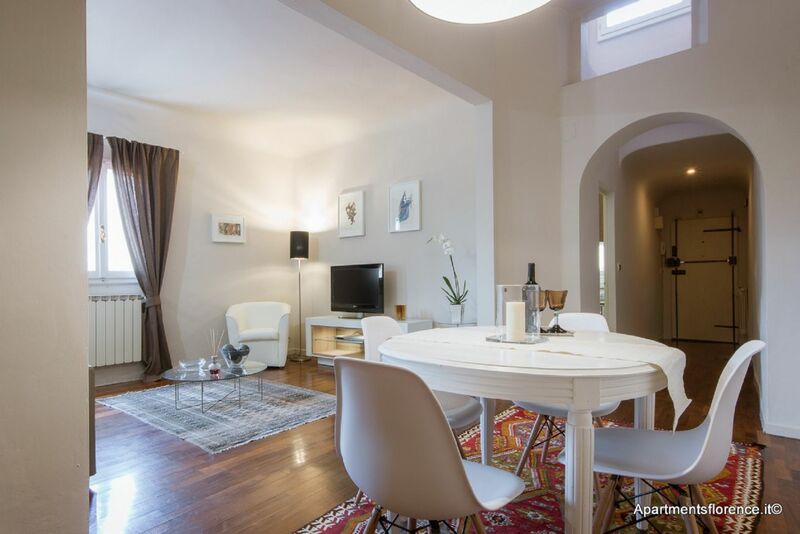 A charming and comfortable home in Florence, just two minutes away from Piazza Duomo, with a wonderful view of Brunelleschi's Cupola! 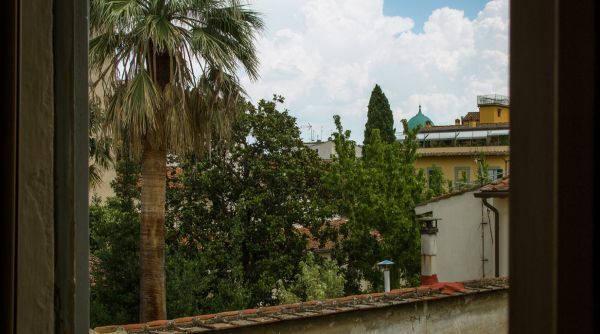 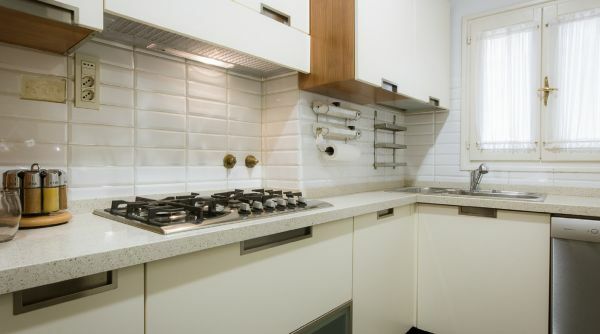 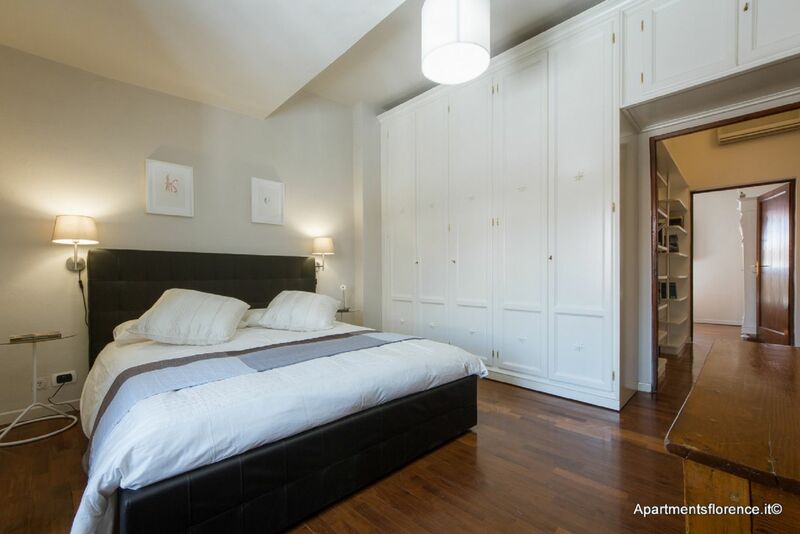 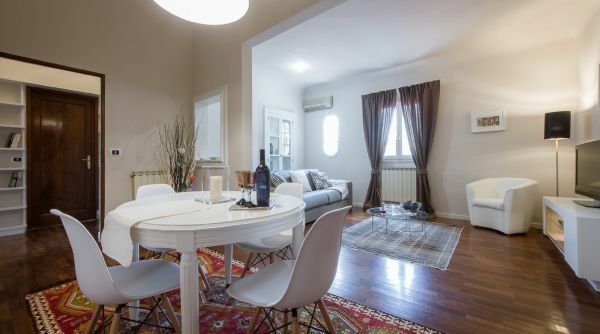 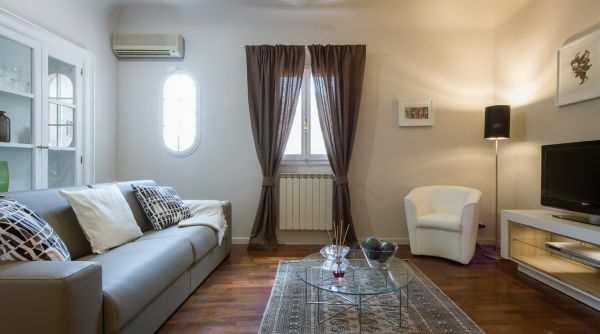 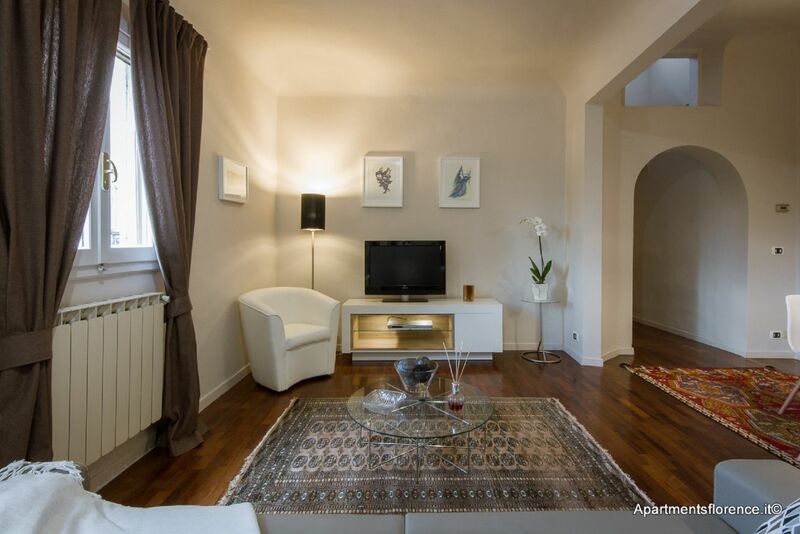 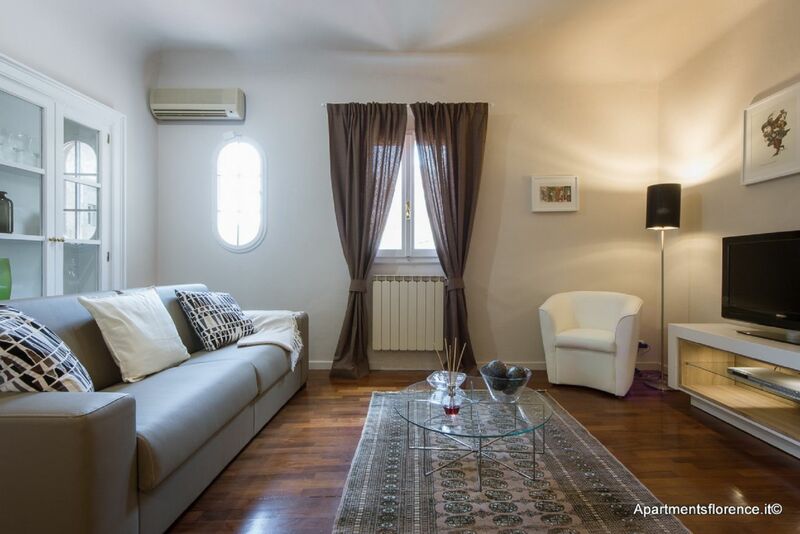 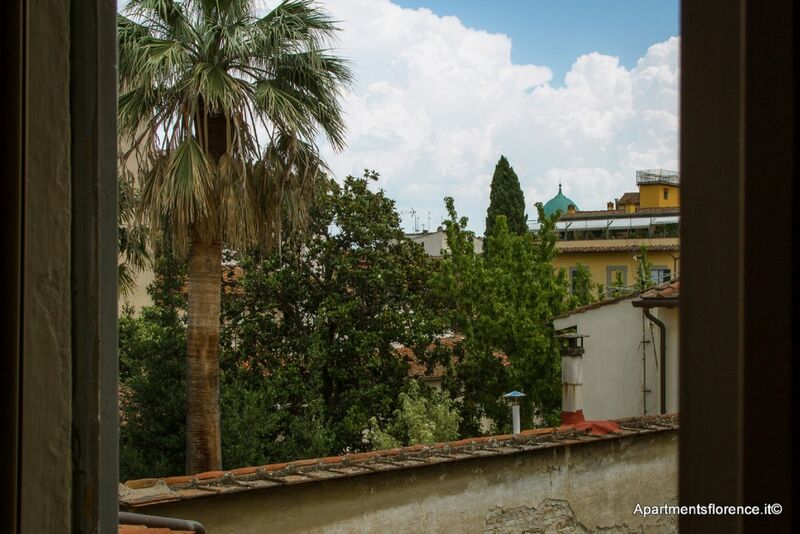 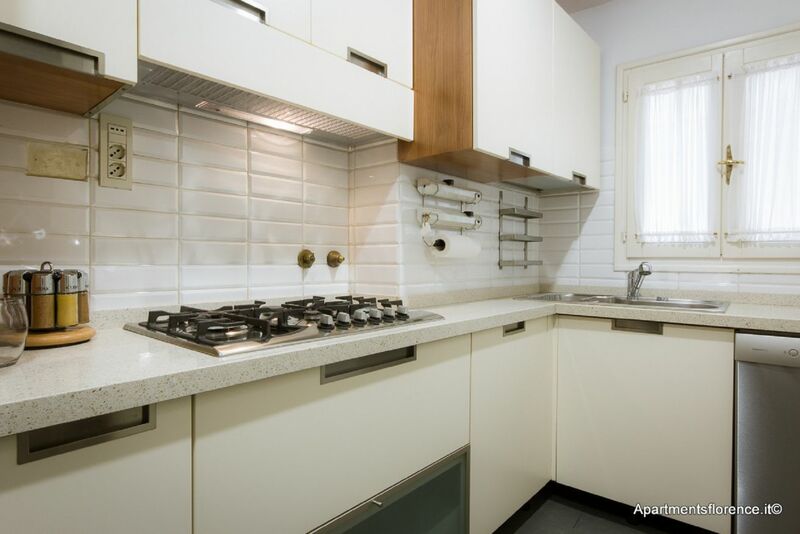 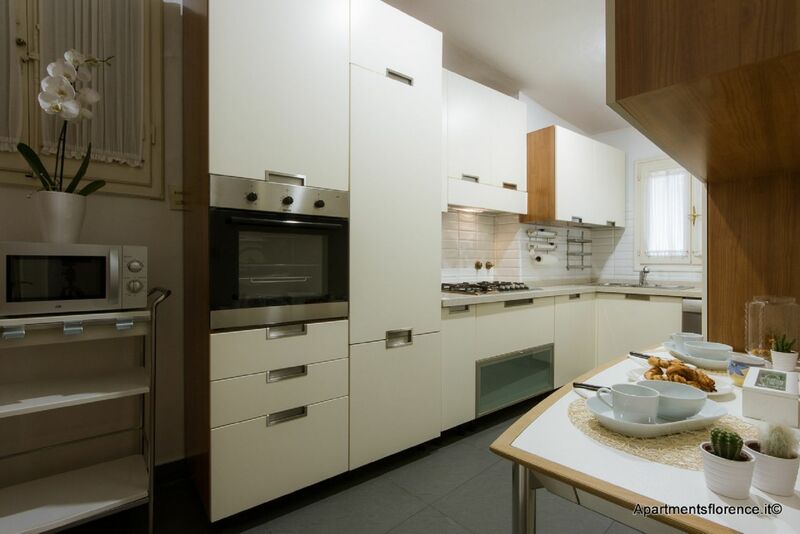 This apartment is located on the third floor up, with elevator, of an historic building set on Via della Pergola, a charming street where the famous eponymous theater is to be found, very close to the Duomo. 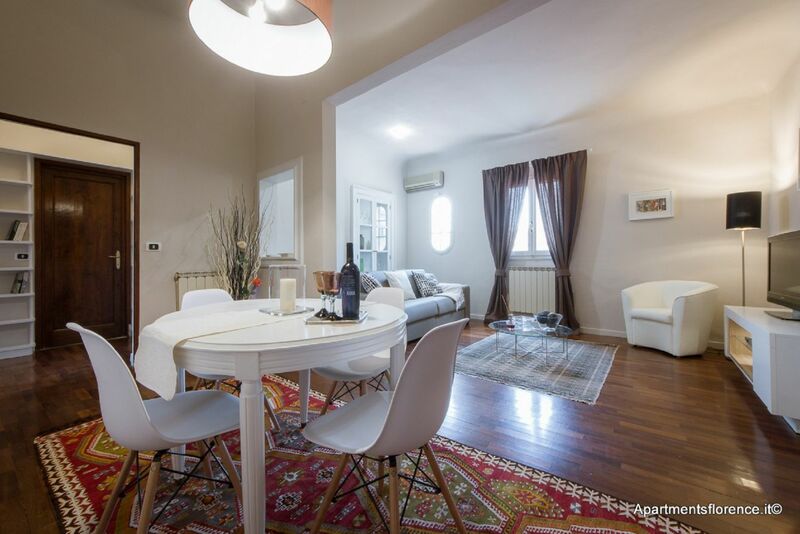 The whole place has been recently and tastefully renovated and redecorated, combining contemporary feeling interior design with rustic features such as the beautiful hard wood floors. 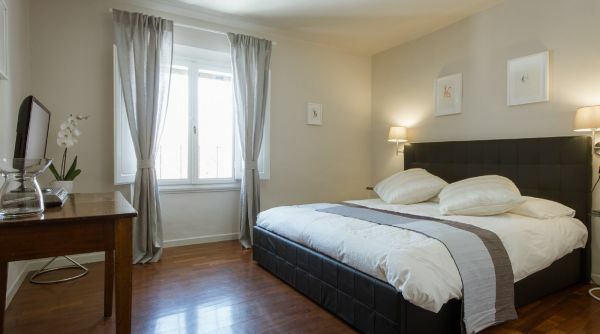 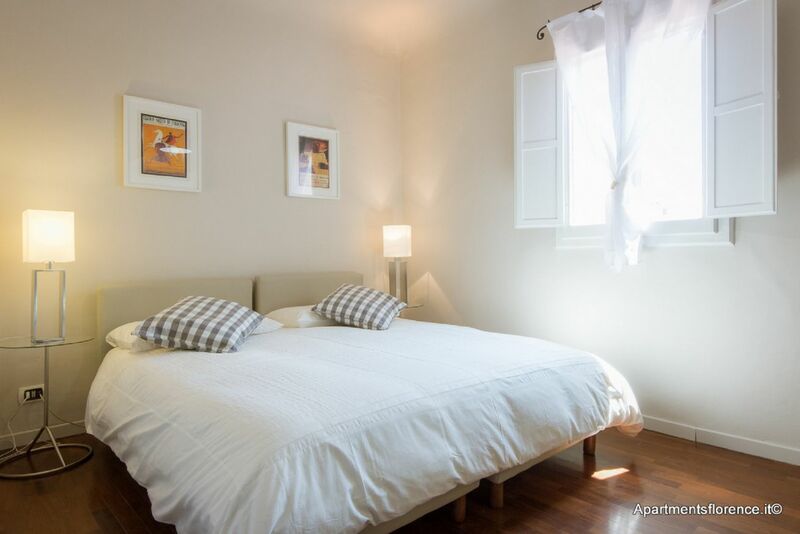 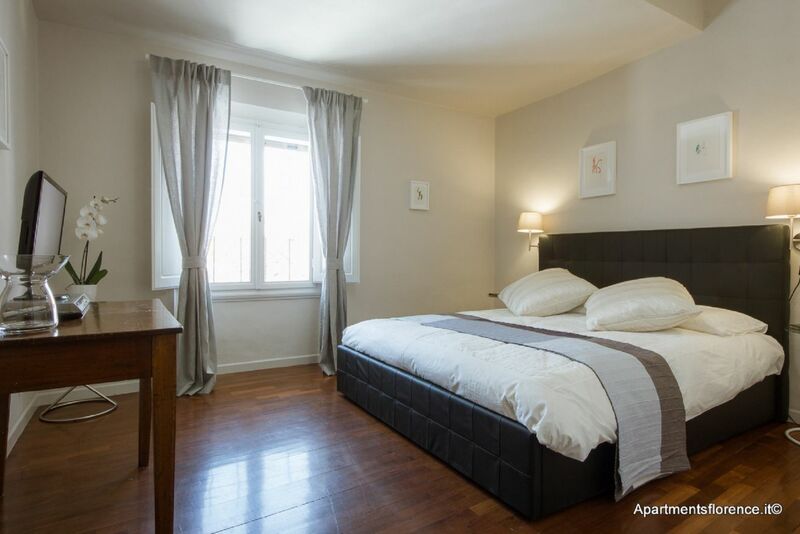 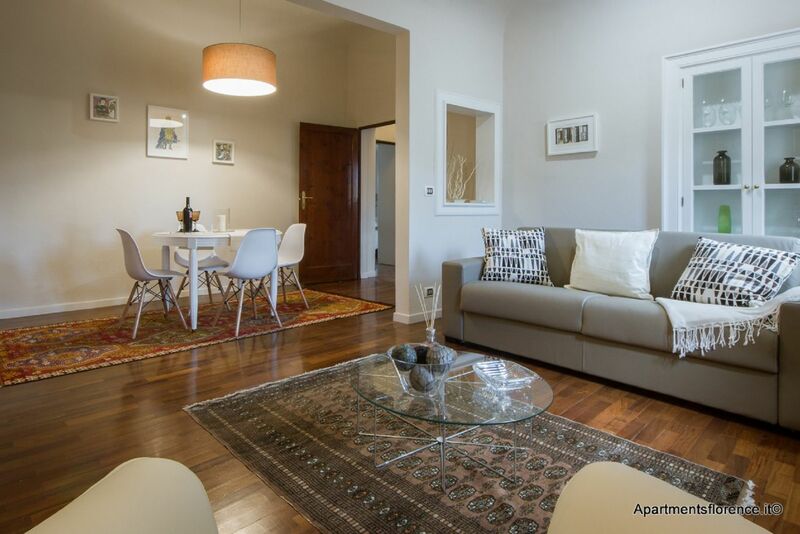 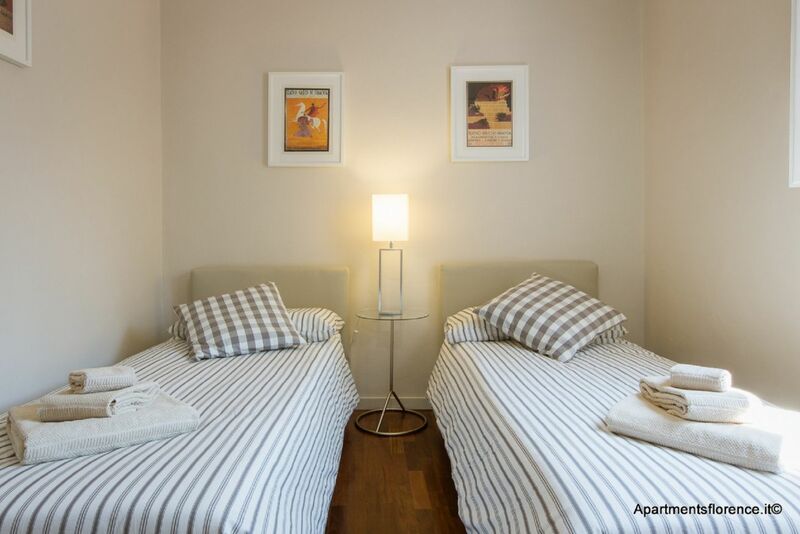 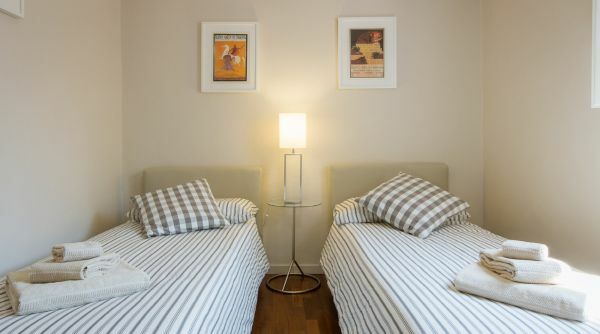 This apartment can accommodate up to six guests thanks to the two bedrooms and the double sofa bed in the living area. 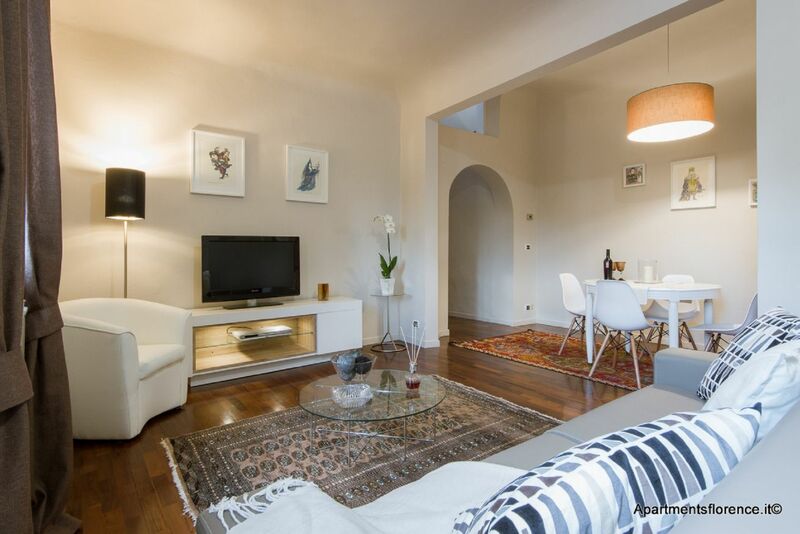 The large open space living area is bathed in natural light and equipped with a comfortable sofa bed, armchair, library and flat screen TV, as well as featuring a nice dining area with a table for six. 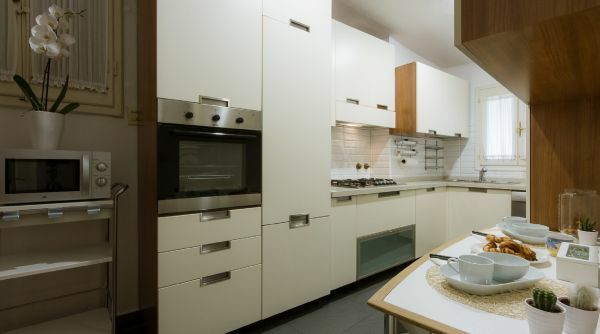 The kitchen, very well equipped and modern, features everything you may need to cook your own meals, plus another table. 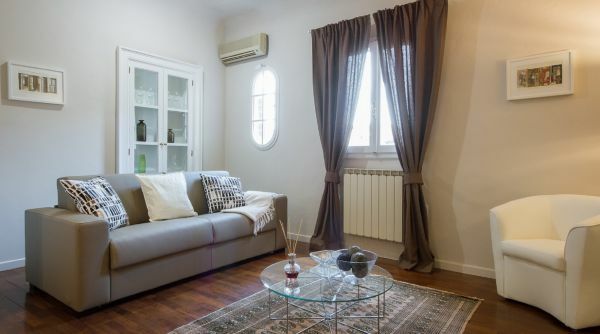 There are air-conditioners in both the living area and in the hallway between the two bedrooms. 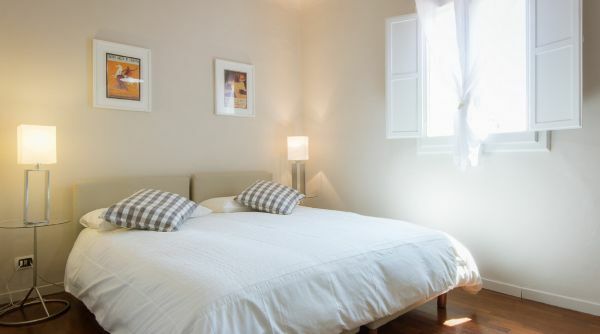 Just off the dining area, you'll find the two bedrooms: both luminous and charming, these rooms exude good taste and a very romantic and relaxing atmosphere. 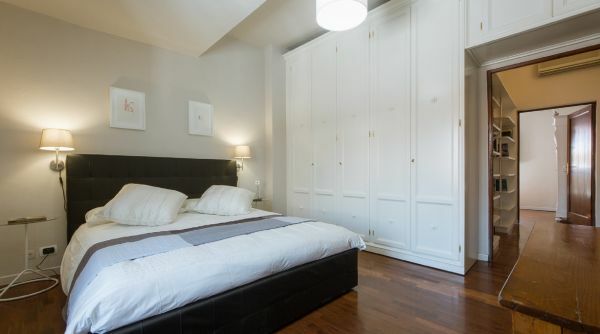 The master bedroom features a queen size bed and a very large custom-made closet, providing pleny of storage space. 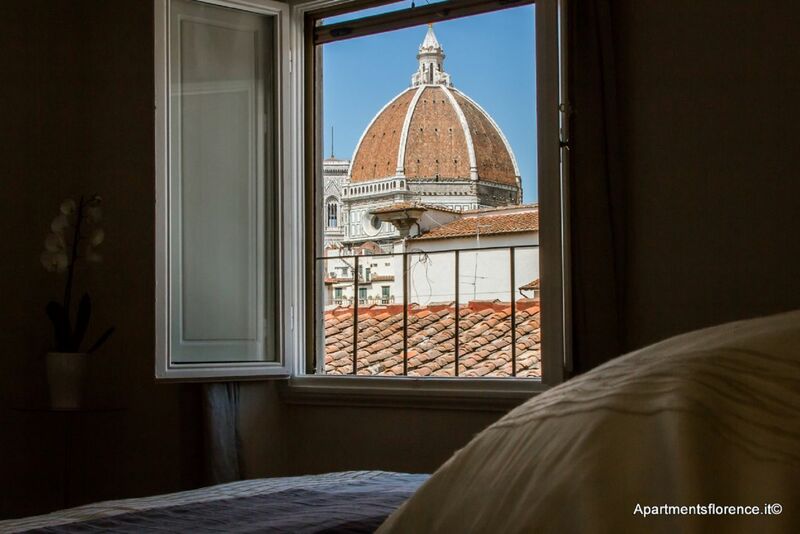 From the window you'll be able to admire the Duomo's Cupola from a very unique perspective! 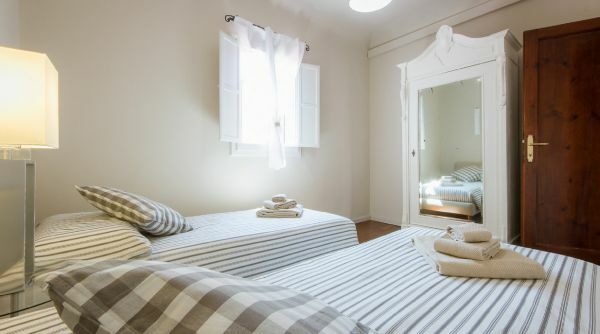 The second bedroom features a couple of single beds, which can be made up as a queen size bed upon request, and an antique closet. 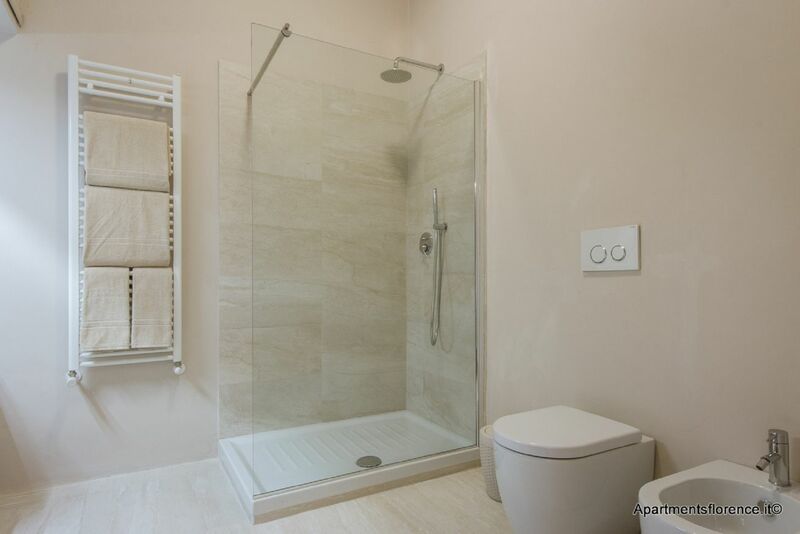 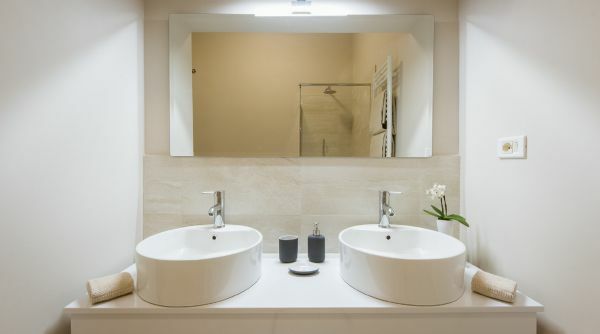 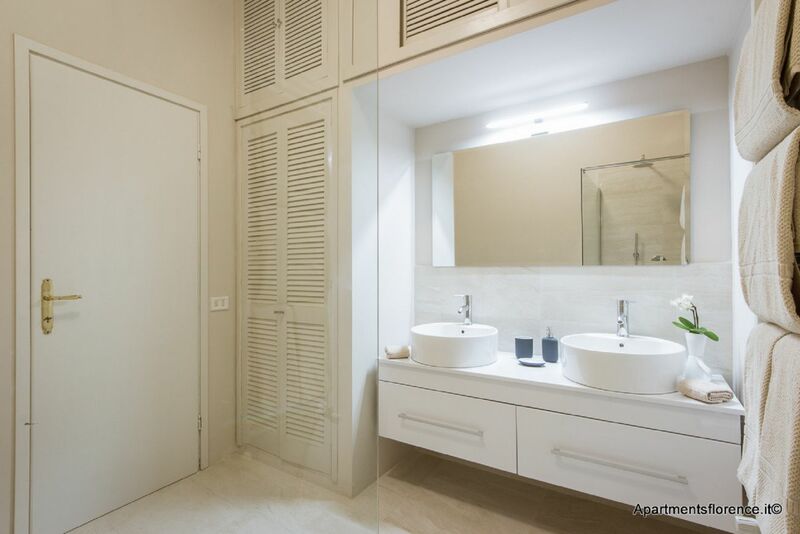 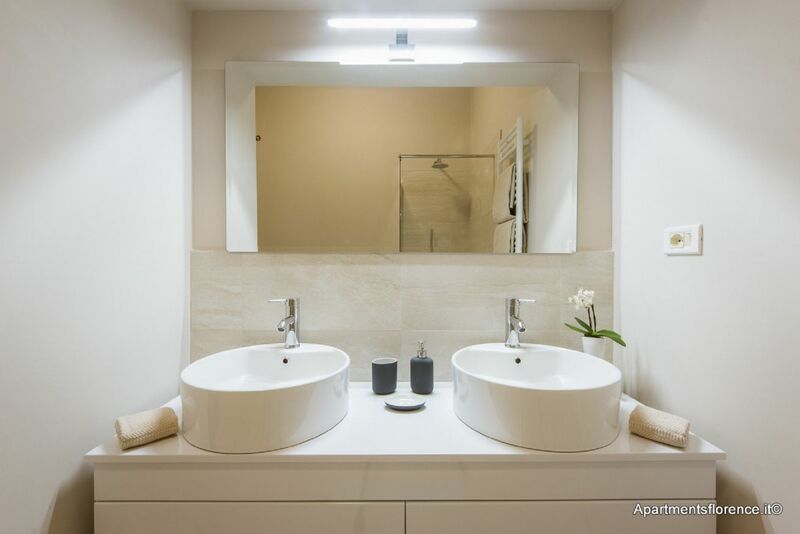 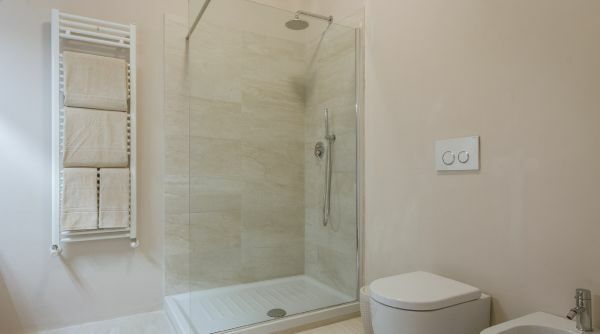 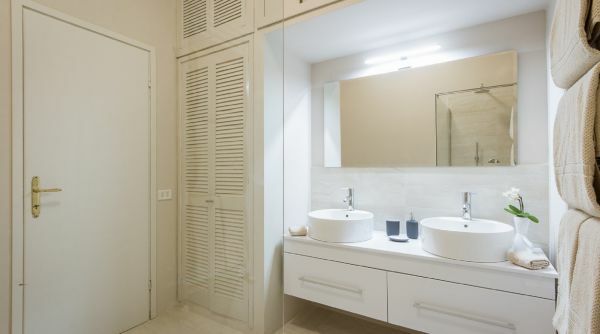 The wonderful bathroom has also been recently renovated and features custom made cabinets, double sink and a spacious walk in shower. 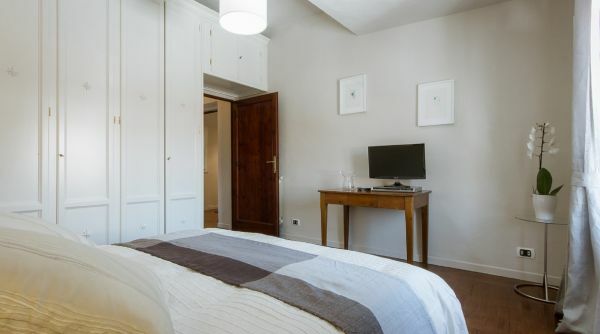 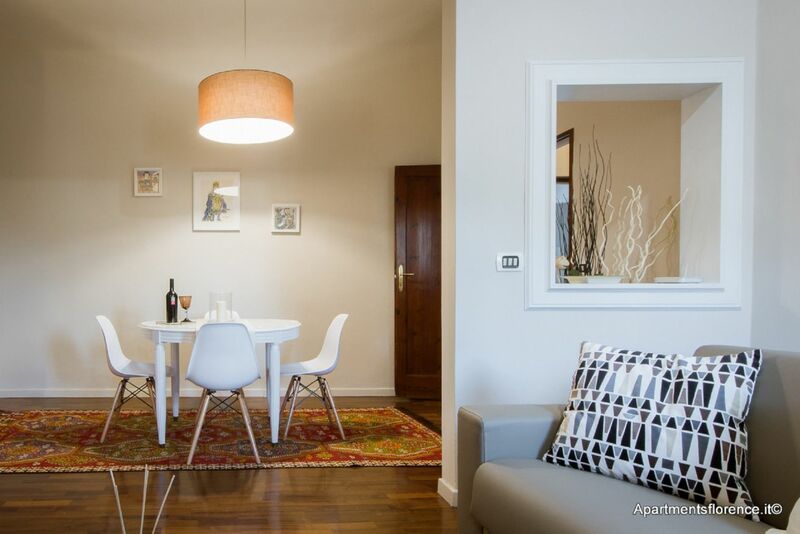 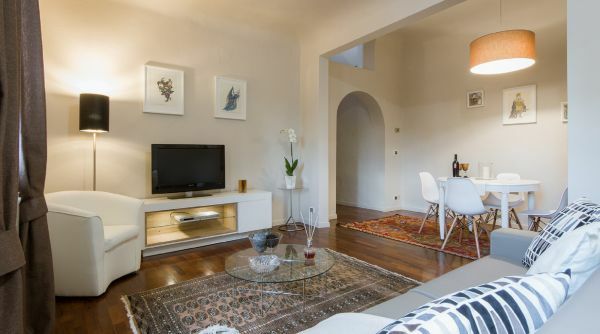 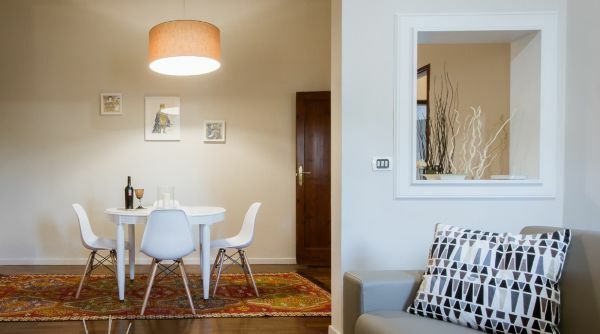 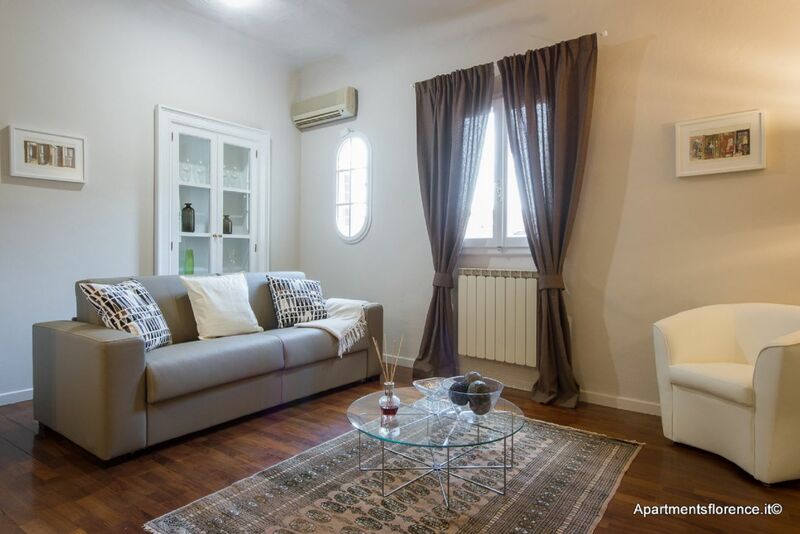 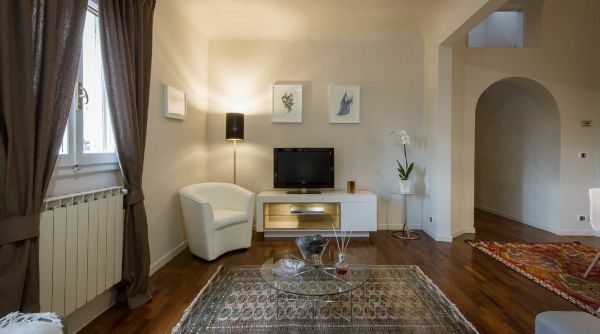 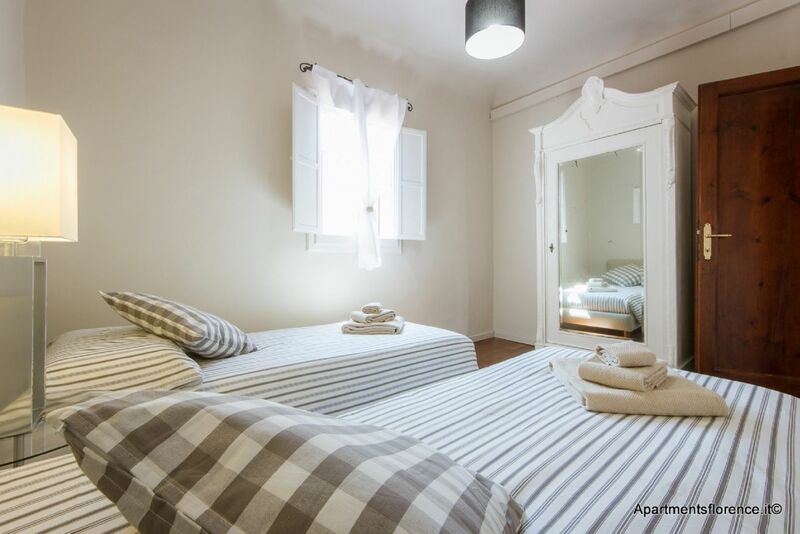 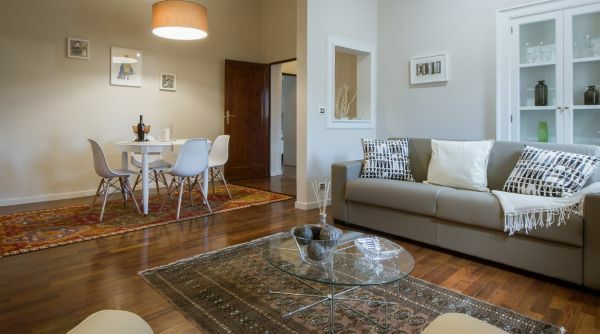 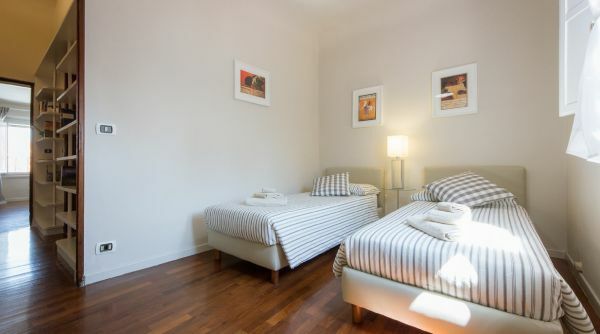 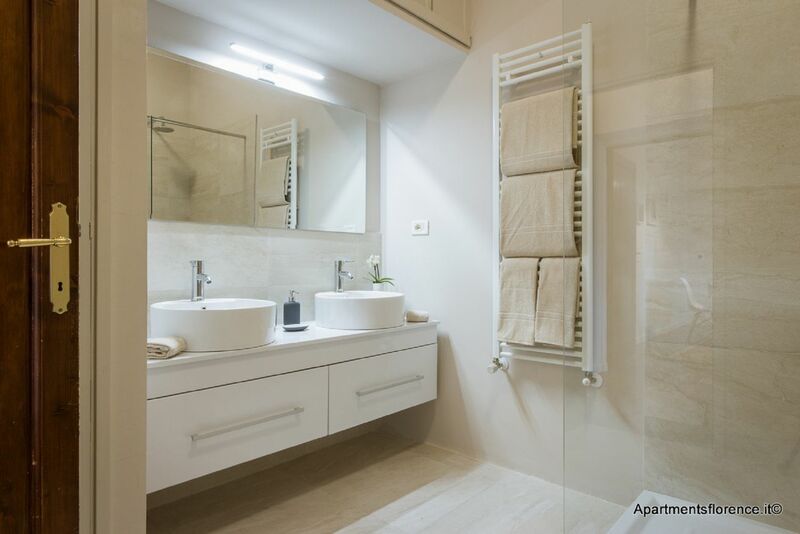 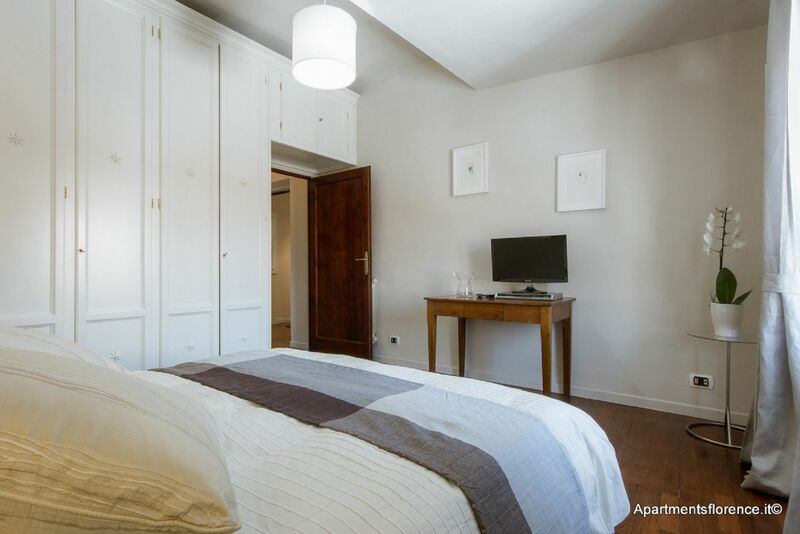 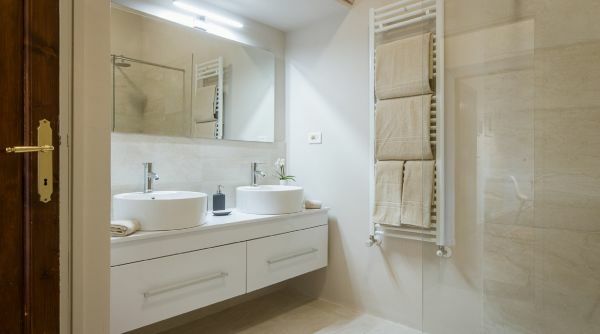 This lovely apartment is the ideal choice for a couple, a family or a group of friends looking for a stylish and well located place for their holiday in Florence. 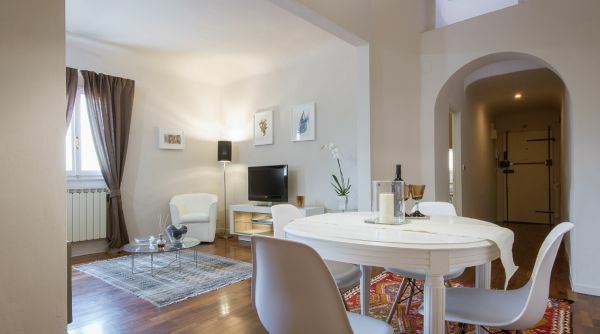 Located just five minutes away from the Duomo and the lively Sant'Ambrogio neighborhood, with all its restaurants, workshops and markets, this apartment is the perfect starting point to explore all Florence on foot while also enjoying Florentine lifestyle, immersed in art, history, food and great shopping. 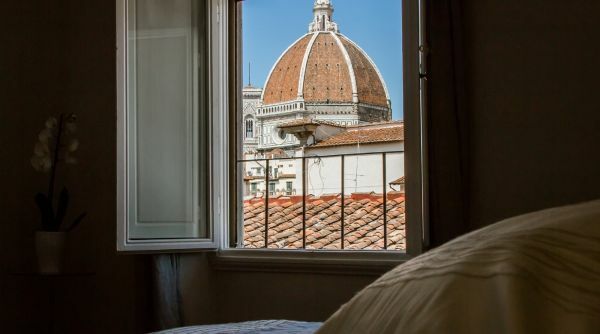 From the apartment all of Florence’s beauties, such as Palazzo Vecchio, the Uffizi Gallery, the Galleria dell'Accademia and Ponte Vecchio, are just a short walk away. 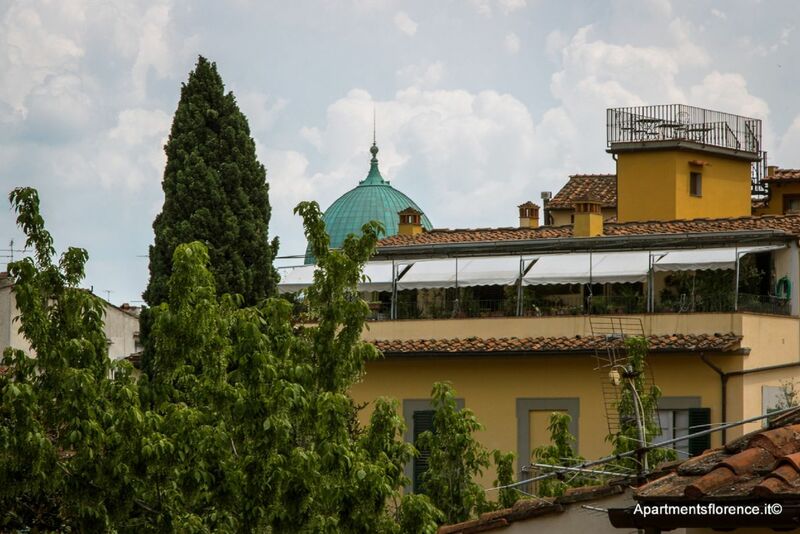 •	Third floor up with elevator, very rare feature in downtown Florence!